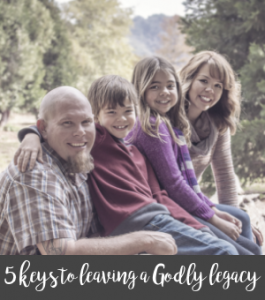 Have you ever noticed that as we navigate the twists and turns of a life that often feels out of our control, it can leave us feeling weak and vulnerable, even less than our fellow humans? Theodore Roosevelt says “comparison is the thief of joy.” He’s onto something, don’t you think? What areas in life do you feel like you never measure up to other people? Do you feel less than as a wife? Less than as a parent? Less than when it comes to the woman you see when you look in the mirror? Maybe even more than when it comes to the size of your waistband? We allow so many things each day to steal our joy, don’t we? I believe social media often makes it worse. People share the highlights of their lives online, where the real world of chaos, messy living and insecurity live out in abundance offline. Let your less than moments become an opportunity for victory! It’s easy to sit and list the things where we feel less than. It can leave us banged up and defeated, even critical towards ourselves and others. 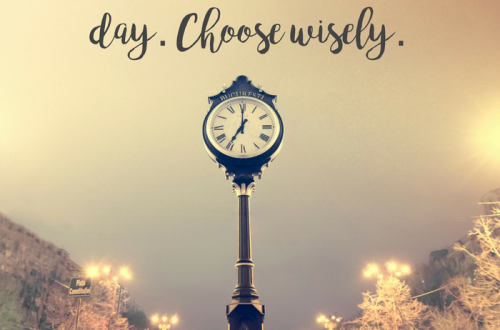 Let’s flip the dialogue in our head and focus more on the abundance of our daily living! Did you get tiny humans dressed today? Are they still breathing? Do they have food in their bellies and love in their hearts? Than high five mama, those are VICTORIES. Millions of kids every day walk around feeling hungry and unloved. Are you living with a roof over your head and the security of a comfy bed to fall into at the end of a long, hard day? Way to go, because millions of people all over the world would kill to be in your shoes and have the security of a building to call home. Who cares if the sofa is a bit ragged or the dishes are piled high in the kitchen sink, or if you rent or own your abode. Rejoice that you have a place to call home! Do you have a job that provides a paycheck at the end of a long work week or month? Yee haw! Hundreds of thousands of Americans wish they had money to provide for their basic needs. Who cares if you don’t have the best car in the neighborhood or a baby bag with the latest designer label on it. You work hard and have the fruitfulness of a paycheck. Be thankful for what you do have instead of focused on the wants. 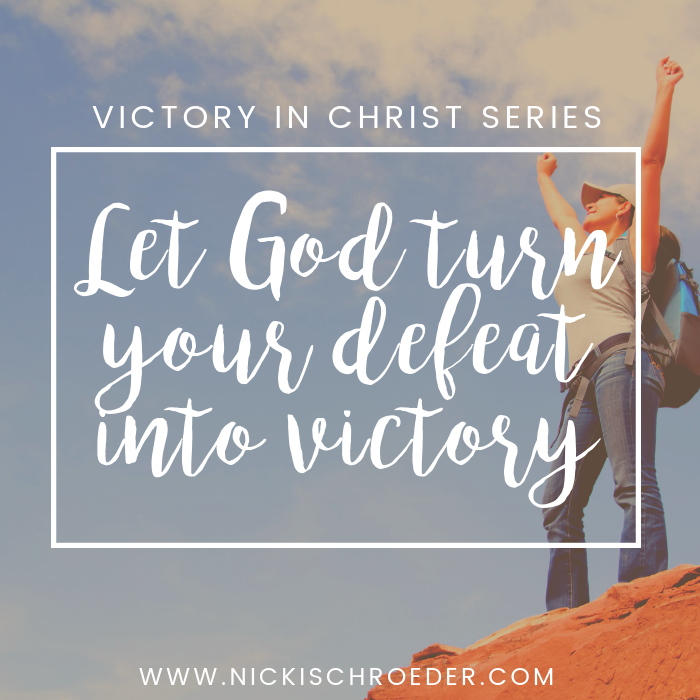 Let’s turn our less than moments of defeat into greater than moments of victory! We have a mighty God who is greater than our fears, disappointments and feelings of unworthiness and insecurity. Lean on God, brave warrior. He’s got you in the palm of your hand! So carry on with the busy, beautiful life God has given you. 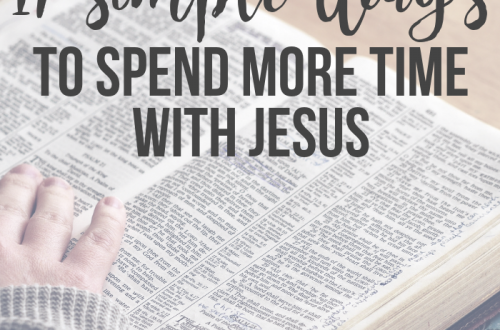 Do it in HIS strength (and maybe a good cup of coffee) to get you through the day! Time For A Facebook Vacation! 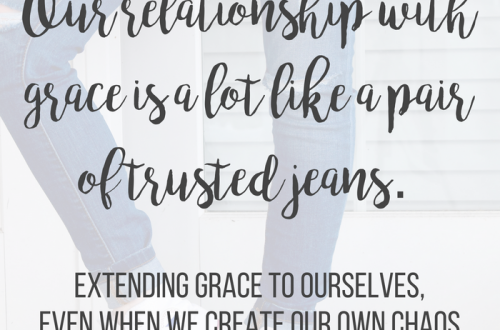 Embracing Grace With Your Skinny Jeans On! Focus on the small victories in your life today! Nicki, I think we sometimes fail to give ourselves the grace and compassion we so willingly extend to others. Thank you for the reminder to be kind to ourselves. We are enough for God. I read this post and “How to Love People That Hurt You.” Both have encouraged my heart. 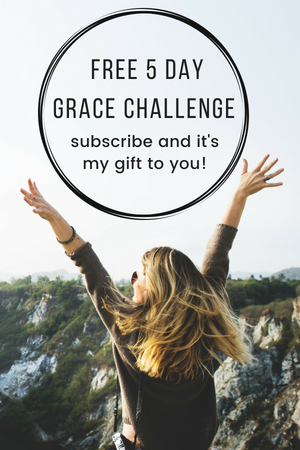 I like that you don’t minimize the hurts, but also point us to our “mighty God who is greater than our fears, disappointments and feelings of unworthiness and insecurity.” I have just subscribed. 🙂 Blessings to you! I guess the little things do add up, even that you wake up in the morning is grace. Yes, we so often take the little things for granted, don’t we? 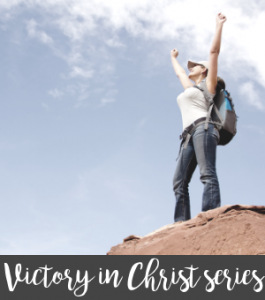 Focusing on our victories helps us cultivate a heart of gratitude! LOVE this perspective! Blessings!